Prof. dr. h.c. Winfried Vahland, CEO of Skoda, has declared: ”The SKODA Octavia RS is in its own a sports league”. You can be sure that not the 2.0 TSI 220 HP engines makes him say this, but rather the entire package that makes the Octavia RS a car bizarre but very attractive. The car has everything you need, it has: space, it is practical, comfort, it has all the new technologies, all the new safety systems and the least thing because it is the most interpretable, a clean and modern design. 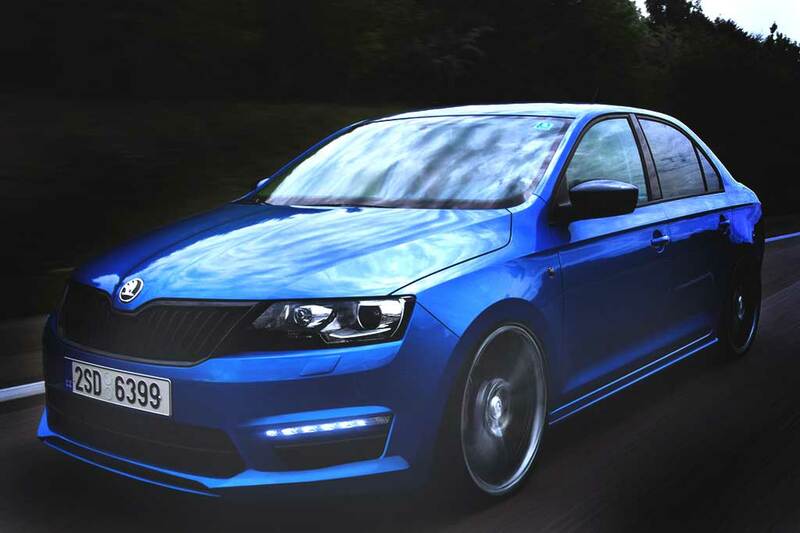 With all of these features, the Octavia RS version adds the dynamic performances too. Skoda produced this model to ensure you have everything you need, a low consumption engine, comfort, spacious and also a decent speed. In my opinion this model from Skoda is one their very best. SKODA Octavia RS accelerates from 0 to 100 km/h (zero to 60 mph) in 6,8 seconds with the 2.0 TSI engine, and in 8,1 seconds in TDI version, so diesel is slower but it’s a lot cheaper. The car comes in a combination with a manual six gear box, meaning the standard for Octavia RS the DSG is optional and the modifications made for performance were not published yet. Now, because the title promises “the fastest Octavia of all time”, let’s clarify this too: the Octavia RS TSI has a top speed of 248 km/h, while RS TDI accelerates up to 232 km/h the previous generation stopped at 242 km/h, from here the emblem of the fastest model in the Octavia family. An increase of 2.4% but still an increase. As you would expect, Octavia RS receives the remaining small changes brought to sports models: lower ground clearance, modified suspensions, an electronic locking, differential integrated into the ESC (reduces the tendency of over steer in cornering), electro-mechanic steer; as well as design elements: restyled front and rear spoilers, honeycomb heater grid, RS emblem, trapezoidal dual exhaust, red calipers, bi-xenon headlights with LED daytime running lights. The list goes on and, as we published only five pictures, maybe it would be that bad to tell us what have changed. Wouldn’t you say? A thing that they have to better adjusted if they want to issue any pretense of sportsmanship is the behavior in cornering. The standard Octavia had an exaggerated tendency to understeer, giving it an unsafely sensation which you would not expect from a modern car with claims. It was, actually, its only drawback, over who could pass because it was a firstly a family car, spacious and economic. But, Octavia RS is all of these and something else, something that could be just on paper and in straight line if it has the same behavior in cornering. The official “ dynamic ” presentation will take place at the Speed Festival Goodwood on the 10 of July, after which will it will follow (sometime) the press tests .We will keep you posted.